It’s important to make sure you get between 8-10 hours of sleep to help prevent your immune system from weakening. Sleep allows the body uninterrupted time to restore and repair itself. During sleep, your body produces infection-fighting antibodies and protective “cytokines,” or proteins that orchestrate your body’s response to infection and inflammation. Getting enough sleep is important in overall athlete health. The winter is not be the time to try an extreme or fad diet. Make sure to eat breakfast and enough that supplements your activity and workload during the day. Fruits and vegetables will support your immune system and provide the nutrients necessary to stay healthy. Under-eating will weaken your immune system. Allowing your body to become dehydrated will leave your immune system weak and more vulnerable to get sick. Staying hydrated will help flush out toxins in the body and also help with dry skin and problems that go along with that. Intense training is necessary to improve, but without recovery and rest build into a training program, excessive training can lead to a compromised immune system. 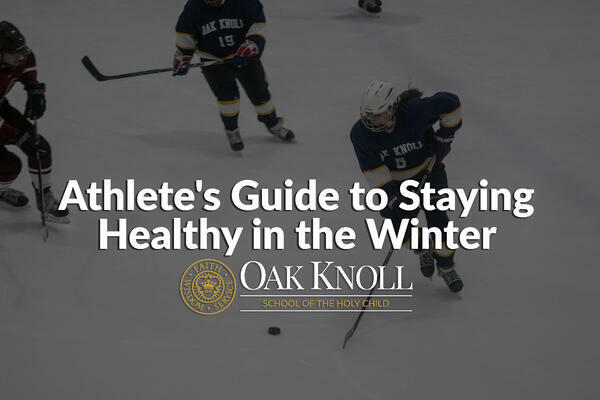 For student-athletes, high academic stress can increase illness and injuries. And while avoiding stressful situations is not always possible nor practical, it’s important to try to anticipate periods of added stress (i.e., exam periods, end of semester, busy part of the season) and plan accordingly (adjust study strategies, manage time, etc.). You also should try and give yourself time to relax. After a long week of training/schoolwork, make sure to schedule in a couple of hours on the weekend to relax and do something you enjoy.